Manage projects with the free apps available in your sciCloud.net® account, which is also included in every LabLynx, Inc. solution or separately as the Community Cloud. The terms "Project Management System (PMS)" and "Project Management Information System (PMIS)" are sometimes used interchangeably to describe software used to "...help plan, organize, and manage resource tools and develop resource estimates. Depending on the sophistication of the software, it can manage estimation and planning, scheduling, cost control and budget management, resource allocation, collaboration software, communication, decision-making, quality management and documentation or administration systems." 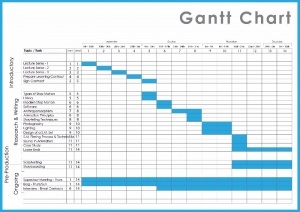 A PMS often includes Gantt chart capabilities and other features for quantifying and managing goals and milestones. Your SciCloud.net® representative will help you choose the right components to create the ideal solution package for your specific needs, including a PMS if you need project management capabilities. If you'd like more information about PMS Apps or you have questions about SciCloud.net® services and/or applications, contact sciCloud.net Support, search the Marketplace for qualified services or contact LabLynx at LabLynx Contact Us, or 770.859.1992 (toll-free at 800.585.5969). ↑ "Project management software". Wikipedia. 29 October, 2016. https://en.wikipedia.org/wiki/Project_management_software. Retrieved 10 November 2016.